Power up your day with the shake to keep you awake. 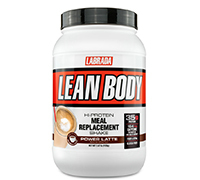 Labrada Nutrition introduces Lean Body® Power Latte Hi-Protein Meal Replacement Shake for your busy schedule. Using real Colombian coffee to give you a delicious taste, it's filled with 154mg of caffeine and a healthy amount of 35g high-quality protein. This flavor is for the go-getter, the above-and-beyond performer who gives everything a 120%. Don't settle for less; give your body the best. Supplemented with 21 essential vitamins and minerals, like vitamin C and potassium, there's no better kickstart to your morning. We want our product to work as hard for you as you work for yourself. To do this, Labrada has incorporated more than just protein into this shake. Healthy carbohydrates fuel your energy while dietary fibers aide your digestive system. Lean Body® Power Latte Hi-protein Meal Replacement shake gives you the time and energy required to tackle your day. It's more than a cup of coffee — It's a well-balanced, gluten-free, fiber-packed kick starter to keep your body in peak condition no matter what your day holds. Ingredients: Ingredients: Whey Protein Concentrate, Milk Protein Isolate, Non-Dairy Creamer (Sunflower Oil, Corn Syrup Solids, Sodium Caseinate (milk), Mono- and Diglycerides, Dipotassium Phosphate, Tricalcium Phosphate, Soy Lecithin, Tocopherols), Premium Colombian Coffee, Polydextrose, Fibersol-2 Fiber, Natural & Artificial Flavors, Vitamin & Mineral Blend (Di-Calcium Phosphate, Magnesium Oxide, Ascorbic Acid, Vitamin E Acetate, Niacinamide, Electrolytic Iron, Zinc Oxide, D-Calcium Pantothenate, Pyridoxine Hydrochloride, Copper Gluconate, Riboflavin, Vitamin A Acetate, Thiamin Mononitrate, Folic Acid, Potassium Iodide, Cyanocobalamin), Cellulose Gum, Potassium Chloride, Salt, Medium-Chain Triglycerides, Acesulfame Potassium, Sucralose. Contains Milk, Soy (Lecithin). 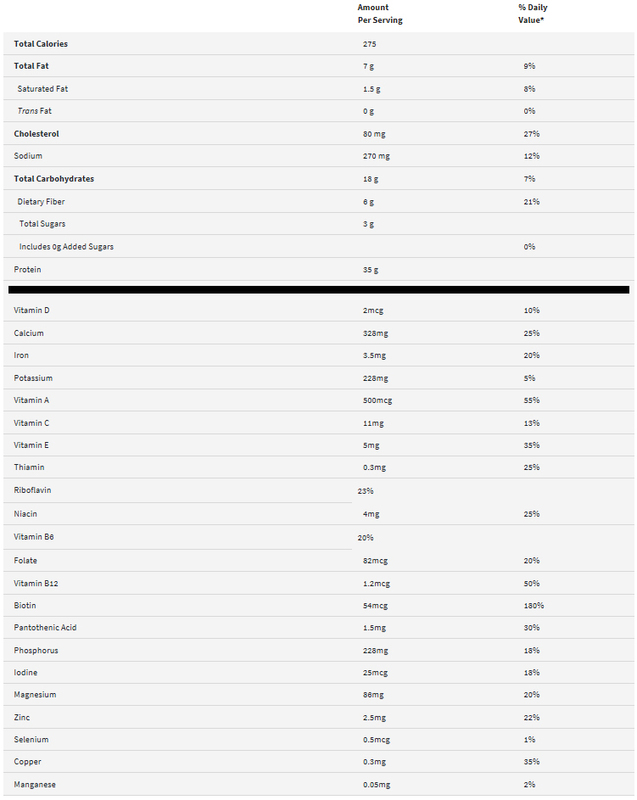 Contains 154mg of caffeine per serving. Note: Soy lecithin helps the powder to dissolve in water. Directions: Use As a nutritional supplement, replace 1 daily meal with a serving. To build muscle, add 1-2 servings to your daily food intake. Use 10 oz. of water or your favorite beverage. Add 1 serving (70g) of Lean Body® and mix in a blender or shaker.